Need a more structured content marketing strategy? Want to use content to improve the quantity and quality of traffic and leads generated? Need targeted content to underpin your inbound marketing campaigns? Take control of your content with our Best Practice Guide to Content Ideation. Learn from the experts how to build a successful content marketing strategy, how to engage your entire team, and how to deliver inspiring content that engages your audience. 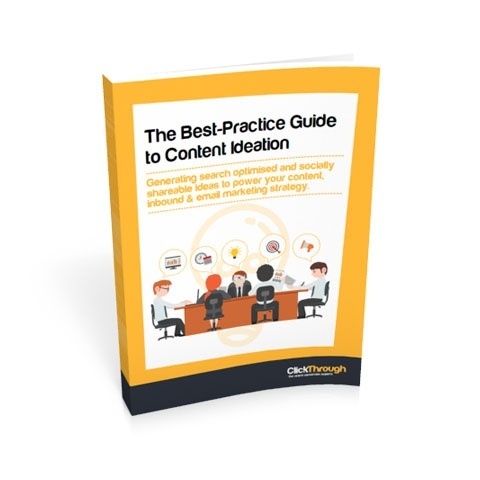 Best practice advice on how to take a strategic approach to content marketing. How content ideation can drive conversion strategy. How to deliver content to meet each stage in the buyer journey. Benefits of building solid buyer personas to talk direct to your customer. How to run a structured ideation brainstorming session.